Studying business administration can help you to build a career throughout the world of business. This course will give you the knowledge and technical skills required to succeed when it comes to business administration. If you need to progress in your role, or get a promotion, learn more about business communication, administration, how to deliver effective customer service and effective way to manage your time. If you are new to administration, or have some experience, but want to go on to further study, this course is for you. This flexible qualification can be tailored to individual learners’ and employers’ needs and no matter what industry they’re in. This Business Administration Skills course is comprehensive and designed to cover the key areas of the following curriculum. This course has been designed for 25 guided learning hours. 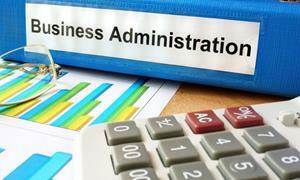 Fill out your details to find out more about Business Administration Skills.